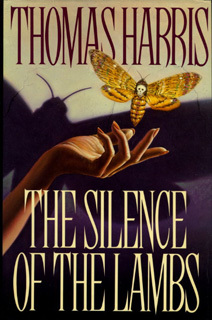 I have probably read The Silence of the Lambs more times than any other book and with good reason: it is a near perfect thriller. Harris has grafted the psychological thriller with a gripping crime novel while maintaining strong literary backbone. It’s no mean feat. Not a moment is left wasted, every sentence is wrought. Its psychological elements are grounded, fascinating and bleak. The pacing and structure, masterful. I have picked over this book, broken down its chapters to study its structure and pacing, all in the vain hope that some of Harris will brush off on to me. Clearly it’s a futile goal as I'm no where nearly as stricken as Harris is with his writing. He writes as though he is exorcising demons. Great artists for whom their work is painful release are rare in any life time, when Thomas Harris was at his peak he was one of these.